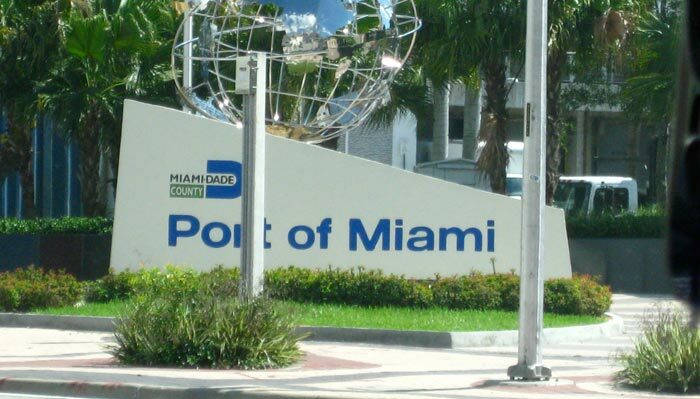 Yesterday it was announced that the Port of Miami is the busiest cruise port in the world in the last fiscal year which started in September 30 2012 to September 30 2013. The actual figure is 4,030,356 million passengers using the port to travel on cruise ships. Bahamas seems to be a popular destination for passengers cruising out of Miami as 48,173 of them travel there. This no surprise as Nassau in the Bahamas is always packed with many ships every day. Most itineraries these days add the Bahamas due to it;s location between the Caribbean and Florida. In 2014 the Miami cruise terminals are set to be even busier with the popular arrival of Norwegian Getaway which will be sailing from the city all year round. The ship is set to be a very popular choice for cruisers. Norwegian Getaway’s sister ship Breakaway was a huge hit in New York when it made its debut this year so the same is expected with Getaway. MSC Cruises Divina will also be sailing from the sunny city all year round and has already started doing so since November 2013. All the major cruise lines in the world sail from the PortMiami and now with larger mega ships being built the passenger numbers will increase further in the future. But we wonder as more ships sail from Miami how will the port cope and will other nearby ports like Port Canaveral and Fort Lauderdale benefit too. You can let us know what you think in the comments below.